"The foliage on this Lavender really pops! Platinum Blonde is a jazzy version of one of my all-time favorite herbs." 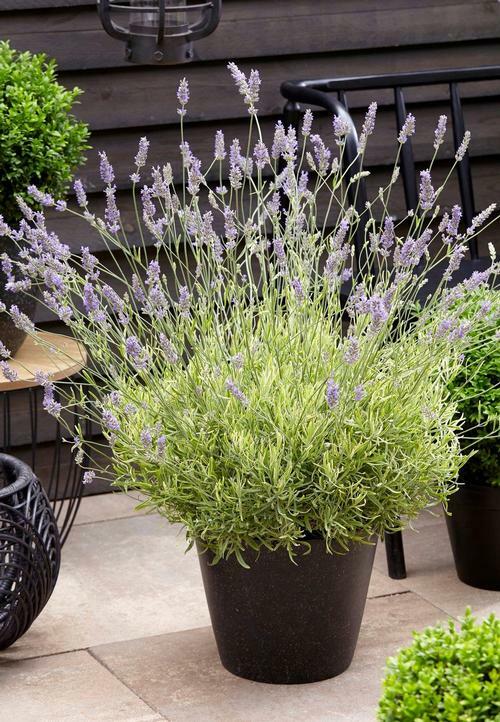 Long lasting, fragrant blue-purple flowers really stand out in summer against the creamy yellow leaves with a green center, foliage is compact and evergreen, prune lightly after blooming.